One of the hottest recent fashion trends has been the Sukajan (スカジャン), also known as Japanese Souvenir Jackets or simply, Japanese Bomber Jackets. Worn by celebrities like Katy Perry, Harry Styles of One Direction, Drake, Wiz Khalifa, and Pharrell Williams, the look is hot right now. Although these jackets are popular now, they aren’t new. The story of the Sukajan starts in 1940’s Japan. After World War Two, many American soldiers were stationed in Yokosuka, a city about an hour south of Tokyo. To commemorate their time in Japan, the Americans would add Japanese embroidery and patches to their bomber jackets. This practice spread and was eventually adopted by the Japanese themselves. However, the jacket gained controversy as the style was enthusiastically adopted by elements of Japan’s criminal gangs, the Yakuza. Sukajan is a mashup of Yokosuka and jan, which means jumper in Japanese. Although once only available in Japan, you can now even buy Sukajan on Amazon. Although the jacket was originally found in Yokosuka, it is now available across Japan, and can be easily found in Tokyo. This post looks at the Sukajan and shows you two shops in Tokyo where you can find them. Both the shops in this post are located in Ueno. At the end we also link to some online shops were you can get these if you aren’t flying to the land of the rising sun. Yokosuka Jumper is the smaller of the two shops I visited. Located in Ueno’s Ameyoko market, this shop has a smaller, selection of jackets, and generally cheaper prices. However, the quality seemed better at FITS, the second shop covered later in this post. This is a classic Sukajan design. The Tiger was a common theme, popular with the originators of the jacket. Also note the YOKOSUKA lettering–despite this jacket being sold to tourists in Tokyo. Old habits die hard. Another great design, with a dragon fighting what seems to be a puma. More typical Sukajan, along with pictures of J-POP stars rocking the look. Apparently the famous girl group AKB48 wears these. Here we can see some of the more elaborate designs on the right and top. You can only partially make it out, but the top design is an all-over-print dragon. Many of these more elaborate designs were reversible, although the insides of these designs were typically more spartan as a contrast. I was amazed how popular the koi fish theme was. Compared to tigers and dragons, the fish seemed weak and helpless–but I was wrong. My Japanese friend told me that koi represent prosperity and are believed to bring wealth and good luck. Another very typical design with cranes, Mount Fuji, and “Japan” as an inscription. The shelves were piled high with Sukajan. My favorite was the gold design you can see near the middle of the photo. I believe it cost around $200 USD. Yokosuka Jumper is usually located in Ameyoko Center, but due to renovations is in a small shop just in front of the Ameyoko Center. Regardless whether they are still in their temporary location when you read this, you’ll be able to find it just the same. 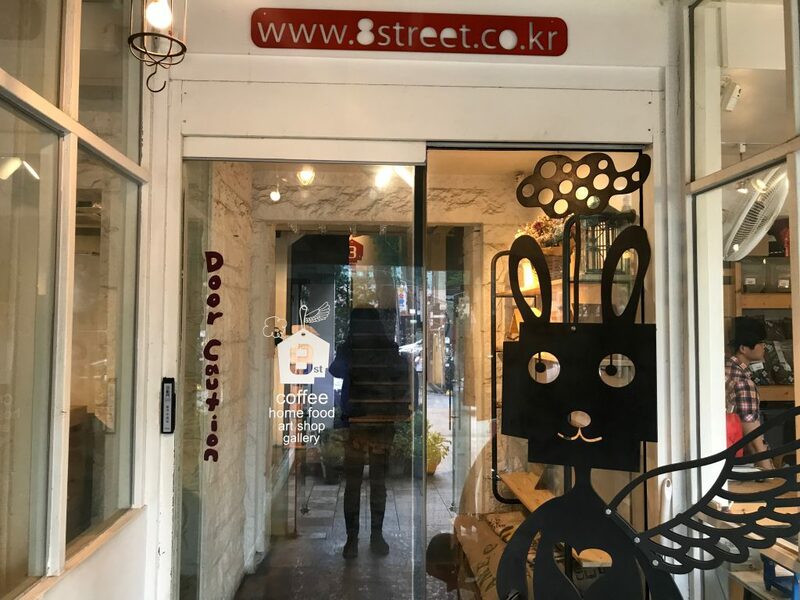 This store was worth visiting, but is not as large as FITS, the other Sukajan shop in this post. The location of Yokosuka Jumper. Their website is also worth looking at, although it only in Japanese. FITS has the largest selection and highest quality of two shops that I visited. They have a huge selection. These products lined up out front were perhaps only 20-30% of their total Sukajan choices. An elaborate koi design with tasteful cherry blossoms. During my visit to FITS they were selling a huge number of Evangelion jackets. Evangelion, if you don’t know, is perhaps Japan’s most famous and iconic anime series. This jacket has one of the series’ main characters. Rei, along with Asuka, are the chief love interests of Shinji, the protagonist in the original series. Although, as with everything Evangelion, their love is not particularly normal. Look carefully in the jacket and you’ll notice the same text that was displayed in the previous picture. That’s because this is a reversible jacket. The back of the same jacket. The reversible options give you an extra choice when deciding which look to rock. Almost all of the jackets they sold were reversible. The price ranged from $200-$400+. A jacket with Asuka’s Eva and cherry blossoms. They also sold this Evangelion shirt. Other Anime and Eva options were available inside. Don’t let the previous selection of Anime Sukajan photos fool you–this shop has plenty of standard Sukajans. In fact, they make up the vast majority of the options inside the store. As you can see, there is a large collection of jackets with traditional themes like dragons, sakura, carp, geishas, and more. There was an amazing golden jacket inside–which I sadly could not get a picture of. However, it cost around 35,000 to 40,000 yen ($350-$400 at current exchange rates). The FITS website is available here. This screencap shows a small amount of their amazing product selection. Be sure to visit them if you’re looking for Sukajan jackets in Japan. Regrettably, it seems they do not ship outside of Japan. In any event, you’ll want to try them on in person anyway. Here’s a Google Map with the location of a shop called Sports Zyuen, located right next to FITS, so going here will get you where you need to be. As you can see from the map, you really just want to walk south from Ueno station, with the elevated train tracks to your right. Both Sukajan shops were impressive, but I ended up not buying a jacket from either one. Although cost was a big factor (the ones I liked were between $180 and $400) the thing that ended it for me was sizing. Since I’m 6’3, it was simply impossible to find a jacket long enough. Everything was off. If you’re slightly shorter, or willing to roll up the sleeves, you should be fine. If you’re not going to visit Tokyo any time soon, there are other ways to get your Sukajan fix. Although you used to have to travel to Japan to buy Sukajan, there are now a wide variety of Sukajan on Amazon. You can expect to pay around $80 or more for a nice looking jacket. There are also a few $400+ jackets if you really want to ball out. JapanLoverMe has gone all out and offers $400+ luxury jackets. For the 2016 Season, major brands like Zara, Topshop, Evisu, and more are selling Sukajan jackets. This will probably not last more than a season or two, so if you’re reading this in 2018, you’re probably out of luck getting it from a major chain like Zara. But who knows, maybe the 2020 Tokyo Olympics will result in this trend maintaining some staying power. For more on the history of the Sukajan, check out this ASOS guide. What do you think about the jackets? Let us know in the comments! If you’re visiting Tokyo, be sure to also visit Itoya: Tokyo’s greatest paper store. For more travel content, check out 12 must-visit destinations in Seoul, and our visits to Venice, Prague, and Sydney. Thanks for the info. This site gave me a lot of insight. My brother is now in Japan. And i ask if he could buy a Sakujan Jacket for me. But what he saw was the Sakujan at the market. Price range was like 80-100 euro. But he said find the quality not that great and it was more touristic label like Please Japan or something like that. So he decided not to buy ( it was for me) Could it be true that the quality are not superb like the one you show on the site? I hope you can help me. Because i been searching on the web for some time now. Thanks for the info. This site gave me a lot of insight. My brother is now in Japan on holiday. I asked him if he could buy a Sakujan Jacket for me. He has been looking for me but what he saw was the Sakujan jackets at the market. Price range was like 80-100 euro. But he said that the quality not that great and it was more touristic label like Please Japan or something like that. So he decided not to buy it. (he also dont like the satin /shiny thing, that which could be the one of the reason he didnt find it cool and decided not to buy) But he also knows i’m more into the authentic kind of jacket. Could it be true that the quality are not super like the one you show on the site? Or are sakujan at the market kinda the same? Hey Kiki Thanks for reaching out! Unless you are ready to spend a few hundred dollars, I would recommend you get one from Zara instead. Sure, it isn’t authentic BUT you can probably buy it in person at your local city, try it on, etc. Also, as you can notice by the other comments, there are some stores that sell Sukajan online, and one of them even offer TRBH readers 10% off… Worth a look! Thanks for the quick reply. Yeah i though so. Next year i probably go to Korea/Japan. I think i’ll just save up some money and buy a sukajan over there. To tell you the truth the ones on the site of Zara are nice. But too bad i’m a male or i probably would have bought it. The ones on the Japan-zone are nice but i kinda miss something. Cool! Have fun! They have men’s ones too but getting a Japanese one is a good choice as well! I’m 4 inches taller than you and in Tokyo right now. Worth crossing my fingers and going there or totally hopeless sizing wise? Damn! 6’7 is no joke! I guess it all depends whether your height is in your legs or torso. If your legs are 4 inches longer but our torsos are roughly the same you could try, but I bet the sleeve situation is probably hopeless as you must also have long arms. If you wanna wear one with rolled up sleeves it might be worth a shot but I’d be surprised if it works out. Ueno has some other stuff going on so you could always just go and combine the trip with other stuff. Hey Sam! In my experience there was nothing good in Japan until you got to $200 usd and up. Maybe I went to the wrong stores but their “bargain” sukajan were like $100 USD and of low quality. At that price point I’d say get something at Zara or Topshop. Once you got to the $300-$400 and up range there were amazing designs that were reversible and of great quality. Yeah, a bargain shop with a used Sukajan would be a good idea if you can find one. Hope that helps, feel free to comment again or to email me at [email protected] if you have more questions.